As consumers moved to phones with larger displays in a smaller footprint, hardware makers had to rethink a lot of their design choices. As a result of this change in consumer preference, the tablet market has withered away and is now just a side-show in the grand extravaganza of mobile devices. Samsung, however, thinks it can change all that with the Galaxy Tab A 7.0 in the Indian market. Galaxy Tab A 7.0 sports a 7-inch IPS LCD screen with display resolution of 800 x 1280 pixels and 216 ppi density. It is powered by a 1.5GHz quad-core processor, coupled with 1.5GB of RAM and 8GB of onboard storage. The same can be expanded up to 256GB with the help of microSD card. Samsung has priced the Galaxy Tab A 7.0 at just ₹9,500 and will make it available for purchase offline stores and on Amazon from January 5, 2018. Samsung talks up its slim design, with rounded edges and non-slip patterned plastic back, which should make it easier for the users to handle the tablet with one hand. You would, however, need to get used to its massive bezels and capacitive buttons on the front. 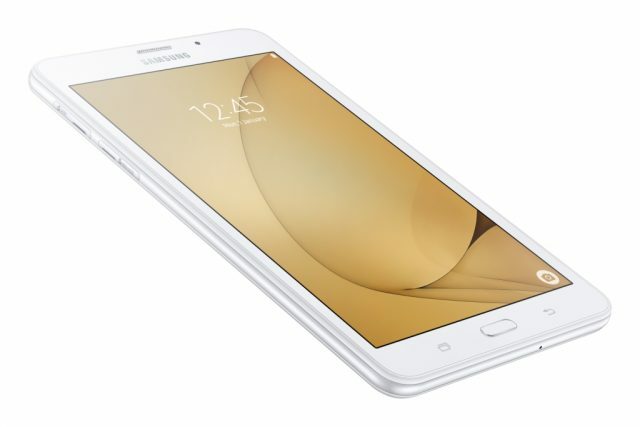 Samsung has also included both Wi-Fi and SIM card support on this tablet, providing users with 4G connectivity on the move. The tablet is rated for up to 9 hours of video playback, and has a Kids Mode that adds educational and age-appropriate entertainment content to the tab, which should add to its appeal as a secondary device for students. The launch includes a special offer for Reliance Jio users, who will be able to get a huge cashback of ₹2,000 after opting for the ₹299 recharge plan, when activating the device.